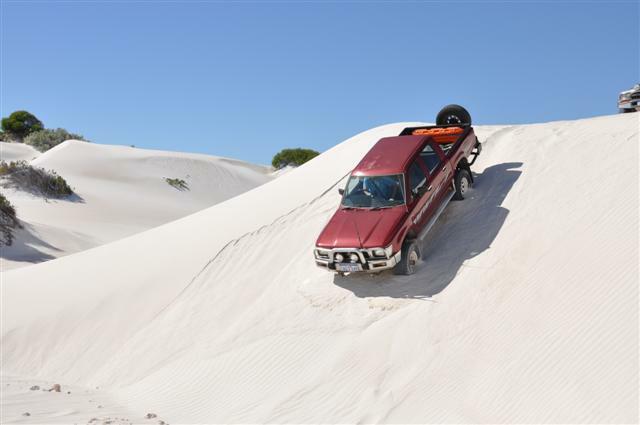 The Hilux is one of the most popular four wheel drive vehicles on the road today, and for good reason. When you still see 1985 hilux’s driving around you know that they have been well made! 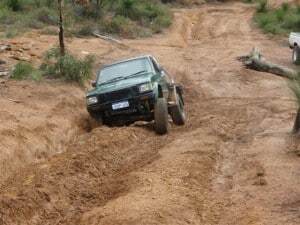 Regardless of what model Hilux you own, there can be a lack of clearance (even with the older ones that have a lot of it in their stock form). There are a number of ways in which you can gain more clearance, which I will go into below. When looking at a Hilux Lift Kit, it is well worth putting some time into researching what is going to suit you best – many people end up spending considerably more on their lift because they don’t look into it enough! I have learned a lot since purchasing My Hilux, and would like to share that knowledge with you. Upon purchasing My Hilux, my first impression was that a big Hilux Lift Kit was needed to make the vehicle capable off road, but this is not correct. In my opinion, keeping the centre of gravity down is the most important thing to consider when modifying your four wheel drive, so a big lift is not always what you want. What is a Hilux Lift Kit? A lift kit refers to one of two things; a body lift or a suspension lift. Both are totally different and should be used to achieve different results. I have explained the difference below. The clearance your four wheel drive has comes down to a number of things. In general, the lowest point on every four wheel drive is the diff pumpkins (unless it is independent suspension). The only way to lift this up is to fit larger tyres. Both a body lift and suspension lift will do nothing to increase the clearance of your diff (and ultimately ground clearance), and this is something that a lot of people don’t realize. By fitting larger tyres you lift the diffs, chassis and body off the ground further. The next thing to know is approach angle, ramp over angle and departure angle. The approach angle is the maximum angle you can drive up without the front of your vehicle touching the terrain. The further forward your front tyres are the better approach angle you have, and also the taller your body is the better angle you have. This is the same for departure angle (except it is inverse). The ramp over angle refers to the clearance under the middle of your vehicle. If you look side on to your car, you can imagine a triangle from bend the the front wheel to in front of the rear wheel, and the centre underneath. The higher your vehicle sits, the better ramp over angle you have and as a result the larger object that you can drive over without it touching. Why fit a Hilux Lift Kit? There are generally only a few reasons to fit a Hilux Lift Kit. The first is to increase clearance. The second is to fit larger tyres, and the third is to make the Hilux look better. A fourth reason is to get better flex out of the suspension (but a big lift is not always required to achieve this). What I learned very quickly with my Hilux is that there are multiple ways to achieve the same result, which not everyone knows. For example, if you want to fit larger tyres you can either fit a body lift or suspension lift, or you can move the diff forward, cut the guards, hammer them in a little bit or fit extended shackles. Each require a different amount of money and effort, and will achieve very similar results (with some being better than others). What is the difference between a body lift and suspension lift? A Body lift refers to lifting the body off the chassis of the vehicle. You do this by fitting aluminium, steel or poly blocks in between the chassis and body. The most common body lift kits are 1” or 2” (25 and 50mm) but some people do 3, 4 and even 5”. A body lift will give you a better approach and departure angle, but not necessarily a better ramp over angle. What you need to remember is that the chassis stays in the same location, meaning it is just as low as it was before. Please note in Western Australia fitting a body lift kit to a vehicle with air bags is illegal (I am unsure about other states). – If you have any bar work, most of the time it is attached to the chassis. When you lift the body up on a four wheel drive, the bar work stays in the same position. This means that your bull bar, rear bar and side steps now sit 1” or 2” (depending on how much you lift the body) lower than your body work. It can be a lot of work modifying the bar work (not to mention the legalities that can be associated with it). It is worth noting though that the older Hilux side steps bolt to the body and not the chassis. – Other modifications may need to be done – gearstick, radiator, fuel line modifications, steering shaft modifications etc. 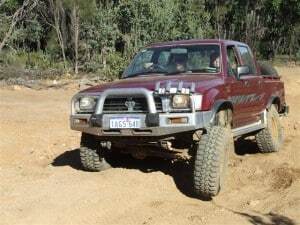 I would like to point out that a body lift kit on the older Hilux’s are relatively simple. I modified the bull bar brackets to suit the lift, and left the rear bar alone to protect the LPG tank. I didn’t need to touch the side steps as they are attached to the body (and consequently came up on their own). I also needed to loosen and re tighten the steering shaft and bottom radiator hose. However, I didn’t have to do any modifications to my gear sticks, brake lines, radiator and fuel lines. In my situation I just wanted to fit larger tyres without spending too much money, and it has paid off very well. A Suspension lift involves lifting the chassis and the body off the diffs. The average suspension lift is in between 1” and 6” but they can get much larger than that. In general the lift is done by replacing the springs, but it can be done by adding extended shackles. A Suspension Lift is considerably more expensive, but is popular for a number of reasons. The work that is required for each model four wheel drive varies depending on the size of the lift. 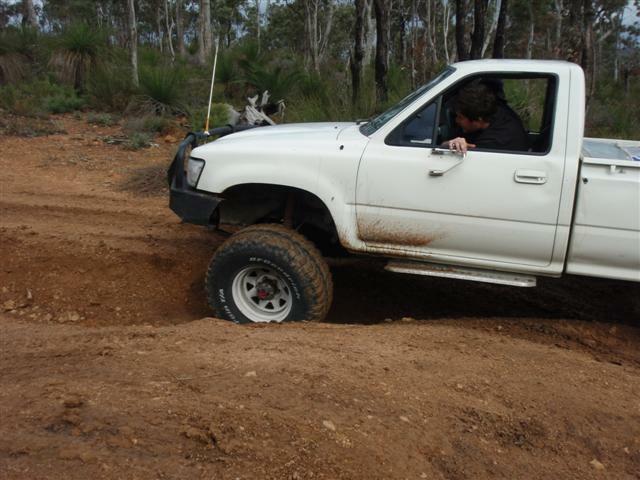 A 2 inch suspension lift on most Hilux’s is all that is required and will do the job nicely. As soon as you go to 3” or 4” you have to do a number of other modifications which become costly. A Hilux suspension lift is popular because it is simple, and can often be fitted at home. Most people stick with a 2” suspension lift, which is a good place to start. Another popular combination is a 2” body lift and 2” suspension lift, but in my opinion this is unnecessary in many cases. For those who carry heavy loads (or tow heavy trailers) air bag suspension might be something worth looking into. It is considerably more expensive, but there are limited alternatives. When you put extra weight in or on the back of your car (like a trailer hitch or camping gear) the suspension will sag a little bit. The amount that it sags depends on how ‘stiff’ the suspension is, but in many cases it will sag too much. In order to compensate this, you can get stiffer springs fitted (which are uncomfortable if you don’t have the vehicle loaded up) and/or fit air bags. These can be pumped up and will lift the vehicle back up to its correct height. It is worth noting that air bag suspension is not cheap! For all leaf sprung hilux’s, shackles are used at the end of each spring. In stock form, these are quite small. If you want a cheap lift, you can purchase extended shackles. These replace the original ones, and will lift your vehicle 1”, 2”, 3” or 4” depending on the size that you get. You need to be very careful with the angle that these sit at, but 2” extended shackles is a very popular modification. If you are going to fit a Hilux Lift Kit, a lot of people recommend getting slightly longer shock absorbers than what normally comes in the kit. In general, the shock absorber is the first thing to stop the suspension from flexing to its full amount. By getting slightly longer shock absorbers you remove this from the equation, and usually end up with better flex. I mentioned earlier on that I prefer to keep my centre of gravity low. A lot of people prefer to cut the guards of their vehicle over fitting a lift. This literally involves taking an angle grinder to the guards, and it works well assuming you know how to do it in a tidy manner! 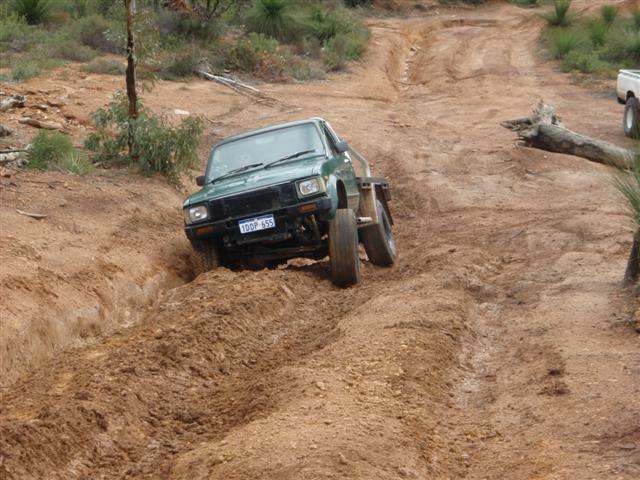 Another popular method to fit larger tyres is to move the front diff forward. This is a relatively easy job on solid axle hilux’s and allows for 35” tyres to run without any lift at all (in the older hilux’s). In my opinion, this is the most overlooked part of fitting a Hilux Lift Kit. 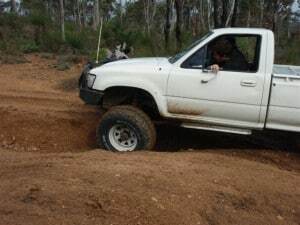 In WA, lifting your vehicle over 50mm makes it illegal. This has some serious ramifications; your insurance is void and as a result you are liable for any damage. You can get an engineer’s certificate (which needs to be accompanied with a lane change test) for lifts up to 150mm but it can get costly very quickly. 50mm equates to either a 2 inch body lift without any bigger tyres, or a 2” bigger set of tyres with a 1 inch body lift. 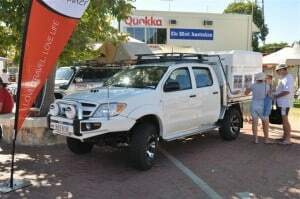 If you do any modifications to your Hilux, I would strongly advise you check that they are legal, and you notify your insurance company of the changes. If you don’t let them know then they can get out of claims. When should I fit a Hilux Lift Kit? It’s not uncommon to see a Hilux purchased and then a lift kit fitted within the first week. I would say you should never fit a Hilux Lift Kit, unless you have a reason to do so. You might find that your Hilux with a decent set of tyres does everything you need it to – why bother lifting it if this is the case? If you need more load carrying ability, more flex or to fit larger tyres then you have a reason. 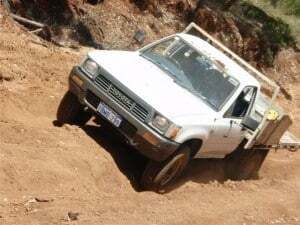 My recommendation is to drive your Hilux, find out where it lacks (if it does at all) and then modify it to fix those issues. If you are going to fit a Hilux Lift Kit, think about the other modifications that you want to do. If you plan on fitting bar work (or other heavy items) to your vehicle then you should do that before fitting a lift. If you don’t, you will find your new lift kit will sag under the weight and you will end up having to purchase a new set! There are literally hundreds of kits on the market, ranging from body lift kits through to suspension lift kits, extended shackles, air bag suspension and more. Consider the weight that you carry, the amount of flex that you need, the legalities involved with doing a lift, why you need the lift done, where you are driving and how the vehicle is treated. If you take the time to do a proper lift you will end up saving yourself time, money and energy! Be aware that lifting your Hilux is not the end of the story. There may be other modifications that need to be done as a result of the lift (like adjusting the headlights as they now sit up higher). I feel for those that have fitted a Hilux Lift Kit without really looking into it, and have had to pay more money and time to get it rectified (or even worse – they are driving a car that is not lifted correctly and as a result is potentially dangerous). The Hilux is an awesome vehicle, and it will bring you a lot of enjoyment if you set it up correctly. If you have a Hilux Lift Kit, let me know – I would like to find out what set ups you are running, advantages and disadvantages you have found and general comments. If you have any questions I will do my best to answer them! Yeah I want to get an extra cab and I’m not too fazed whether it has a lift kit or not but it’s good to know now to ask for an engineer certificates if it does. Also, on the diesels, should I be wary of vehicles that have recond motors and should I be worried about high mileage? As long as the lift is under 2 inch (and the tyres are factory size) you wont need an engineers certificate. I’d almost bet even if the vehicle is over the 50mm in my previous reply, you won’t get an engineers certificate. Most people don’t know about what is legal and what isn’t, and those that do don’t seem to care! In regards to the motors, untouched motors are usually set up the best, but there is something nice about a recently rebuilt motor. My 80 series had it’s motor rebuilt about 70k before I bought it, and I am very happy with it. High mileage is not necessarily a bad thing; it all comes down to service history and the way the car has been used. A farm vehicle that has done 80,000km will likely be in worse shape than a sales rep’s Hilux that has done 250,000 highway kilometers! I can shop confidently now. Hi I’m looking at buying a hilux xtra cab sr and would just like to know what size lift kit I need to run 17 inch all terrains. Also I heard that if you lift it that much you may need to do something with your brake lines. Is this true? The LN106R is a great vehicle. If it were me, I’d get a good set of all terrain or mud terrain 31″ x 10.5″ tyres. These are the standard for this model Hilux, and will leave you with better clearance than a Patrol or Land Cruiser on 33″ tyres. On this particular vehicle, I wouldn’t bother lifting it unless you really need to fit larger tyres. Alternatively, you could go up to 33 x 12.5″ tyres, but you will need a 2 inch body lift (or you can get a 2″ suspension lift which could do the job). What is the standard offset for these? I know the 1990 – 1997 offset is -22mm. The further offset you go the harder it will be to fit the tyres when you turn, but you need enough to clear the brake calipers. I doubt you will have any issues on the rear; it will be the front that will cause you issues. Can you get access to a rim and tyre and try it on? If you measure from the centre of your hub outwards half of 32″ towards the guards at the front you will get a reasonable idea of how close it will be. If you have no lift at all, I’d say you would be pushing to fit them – the standard tyres are 29″, no? If they don’t fit, you would have to go with a lift kit, which is more money. Is there a reason why you need 32×11.5’s? Hi all i have a 2009 LUX with ARB complete sus upgrade and have just now put 265/75/16’s on it wow what a difference, drives and feels like a new car, Taking the beast out today as we have had rain and want to break the tyres in, correct tyre pressure of course. Is it OME suspension? 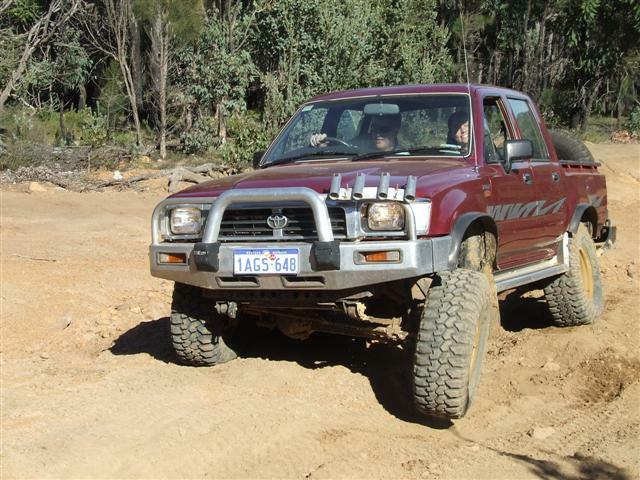 Aftermarket suspension and some decent tyres are the two best modifications you can make to a 4WD – I bet you will be pleased with the results. 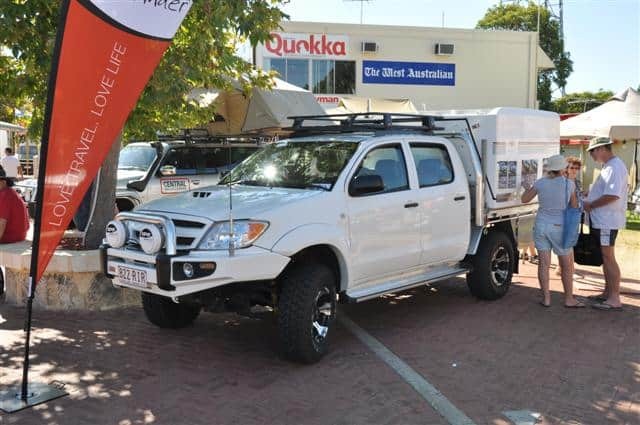 Hi Aaron yes its OME this is third OME kit i have put on different toyota’s i have had, totally agree these are the two best and first thing that needs to be done for outback adventurers, the Lux drives and handles sooo much better, i have also put a 3inch stainless exhaust and long range tank on. Good to hear mate. OME is top quality stuff. It will keep you happy for many years! The exhaust should have given it a bit of extra power and economy too. Happy 4WDing!